Next time a pipe leaks, replace it. Mopping the floor is no fun but dealing with a water damage is an entirely different story. And you won’t like it at all! A flood can affect your life in so many different ways that is hard to grasp the scale of the problem if you haven’t experienced something similar in the past. It has nothing to do with extracting water from the floor when there is only a small puddle and everything to do with whether or not you will continue to have a home tomorrow or whether or not you’ll be around to enjoy it. This is not a far-stretched hypothesis but a fact. 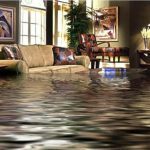 But let us take one thing at a time and explain the possible risks and dangers in the event of a residential water damage. It will be helpful for you to know the distinctions among water that can damage your home. Floods caused by leaky faucets, sink or tub overflows, and other water pipes are included in the category I which is classified as harmless to humans and pets. The category II involves water contaminated by microorganisms that can affect one’s health if the person consumes the water or remains exposed to the contaminants for a long period of time. The source is often overflowing appliances or tub, shower, & toilet (urine) backups. The category III water is called black because it’s highly contaminated. The main sources are toilet backups with feces, sewer backups, river overflows and stagnant water. It is extremely dangerous to both humans and pets since it can even cause death. As you’ve already guessed, one of the first repercussions of water damage is your health. There is no doubt about the effects of black water to one’s health. But don’t make the mistake to assume that the most innocent water (that of category I) will not put your health at stake. 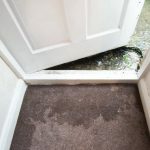 The problem with floods and the reason why there is absolutely an urgent need to call a company for a water damage remediation is the fact that even clean water can affect your life. How come? Let us explain. Failure to call for a water damage restoration in time will increase moisture. 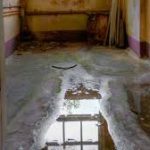 If there is a serious flood, the water damage category will switch from I to III since it will contain bacteria after a while. 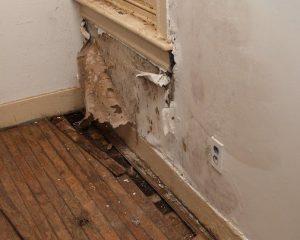 If the water damage repair is not done correctly, mold will build up. And that’s another enemy you want to avoid since it can make you sick in no time. Moisture enables mold infestation and also attracts bugs and they all spread very quickly because all they need is moisture areas. Hence, the bacteria will multiply with speed along with your allergies, breathing problems, headaches, and infections. Think of all the things you have at home: carpets, cushions, fabrics, wood and so forth. How many of your belongings are waterproof? Nearly nothing. Which means that water will destroy most of them. Drywall will become damaged. Wood floors will swell. The electrical system will be compromised. And don’t let me get started with what’s happening in all the hidden places, like under your carpets. Even if the water is extracted, moisture will remain there and thus your enemies – bugs and mold – will still be there only making the situation worse. Don’t forget that mold destroys things. It won’t only make you sick; it will make your home sick too. 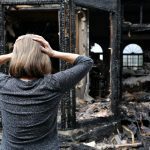 The longer your belongings are exposed to water and moisture, the less likely they will recover the damage. To make a nightmare even worse, let’s point out that the full picture of the water damage is not always clear right away. Mold often takes one or two weeks to grow. Things that are not in plain sight will get ruined and you won’t notice. 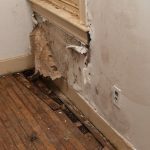 What you need is proper water damage service and a crew that can inspect to see if mold has built up so that they will remove it. And if you still feel that the bad musty smell hasn’t gone away weeks later, do give it another try to be sure that the invisible parts of your house are fixed too.